If your home floods because of heavy rains or a burst pipe, you’ll want to focus on drying the flooded area. Once that’s done, you may notice a lingering musty smell that can make your home unpleasant to be in. This is commonly caused by mold and mildew, which can grow quickly in damp environments. Follow the tips below to combat the nasty odors from water damage and get your home back to smelling fresh. 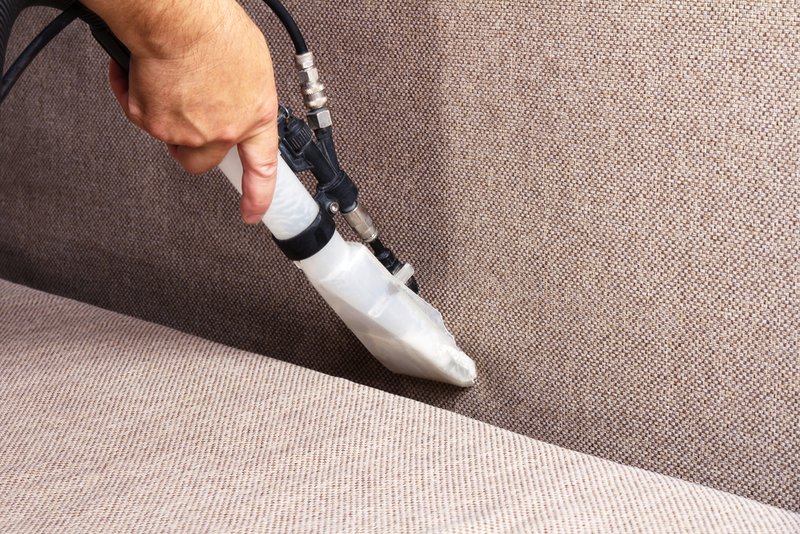 If any carpeted areas in your home flooded, they’re likely the culprit of lingering odors. The carpet fibers absorb moisture and make a welcome home for mold. You’ll have to act quickly to save the carpet, so start by running dehumidifiers in all the affected rooms. You should also find a cleaning solution designed to kill mold spores. Once you’ve halted these growths, sprinkle baking soda on the carpet and let it sit overnight— this will help absorb unwelcome smells. You might associate vinegar with a pungent smell, but it’s surprisingly effective at neutralizing other odors. If any upholstered items, curtains, or other fabric was affected, wash it with water and vinegar. If it’s too large to wash, spritz it with vinegar and let it sit. Because of its high acidity, vinegar can kill many species of mold, making it great for chasing away musty smells. While it’s tempting to try and save everything that’s been damaged, you’re often better off discarding and replacing items and materials that have been excessively waterlogged. For example, carpet that’s been sitting under water for too long may never be the same, and wood flooring and furniture can warp permanently after water exposure. Cut your losses in the right places and save yourself from long, expensive repairs. If your home has flooded due to a burst pipe or natural disaster, act quickly and call the experts at SERVPRO of Greater St. Augustine/St. Augustine Beach. Their highly trained staff can help you get your life back to normal after a fire, flooding, storm damage, or unexpected mold growth. They can also replace damaged carpet, flooring, and drywall. To schedule prompt service, call the St. Johns County, FL-based office at (904) 429-4457. To learn about their thorough water damage restoration process, visit their website.